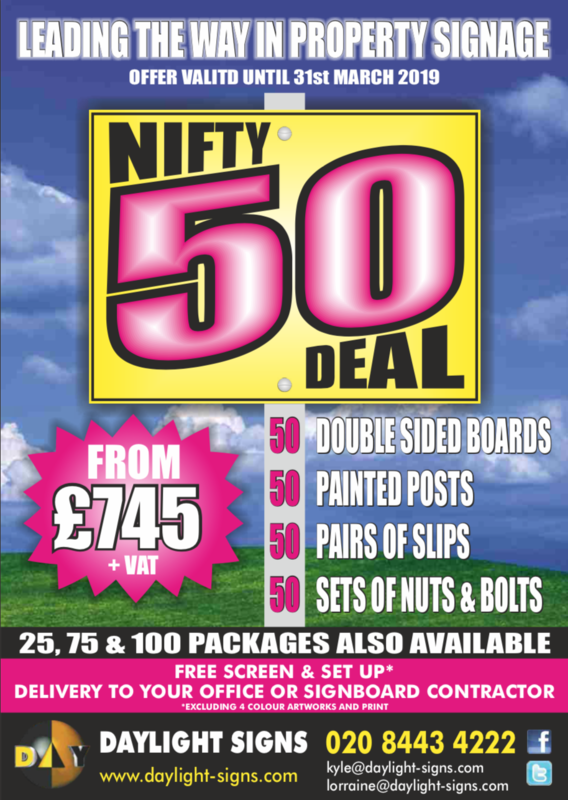 Our Nifty-50 deal – A complete signage package! 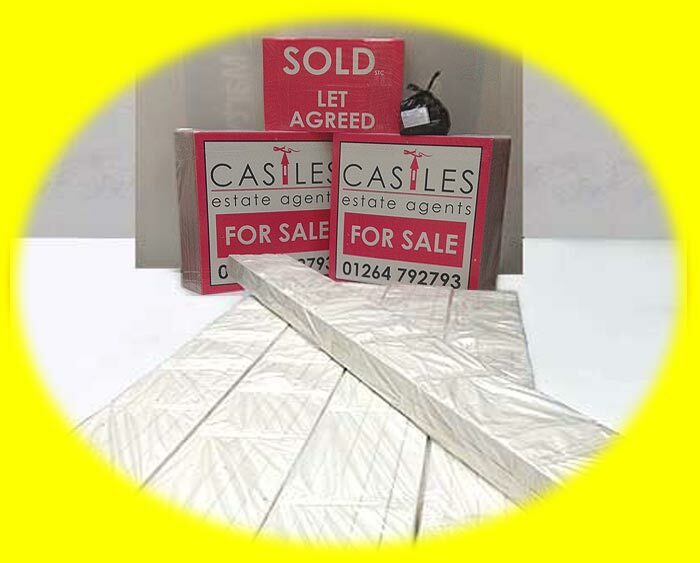 With over 900 estate agents on our books & with over 30 years experience, Daylight Signs are the leader in estate agent board manufacturing! Our Nifty-50 Deal was designed for Estate-agents requiring a cost-effective package for their signage requirements, and importantly, a package which is easy to price!